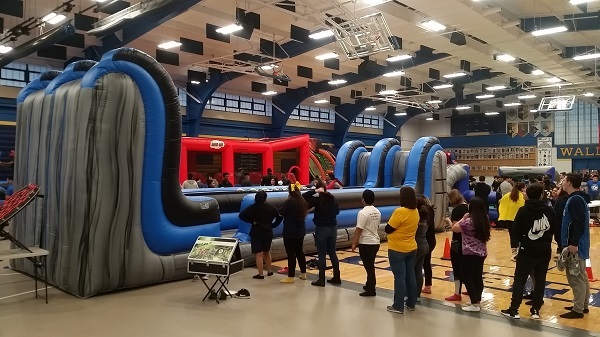 Test your skills with the most hilarious inflatable to watch in-action the Basketball Bungee Run! Participants strap themselves into vests which are attached to the inflatable with an oversized bungee cord. 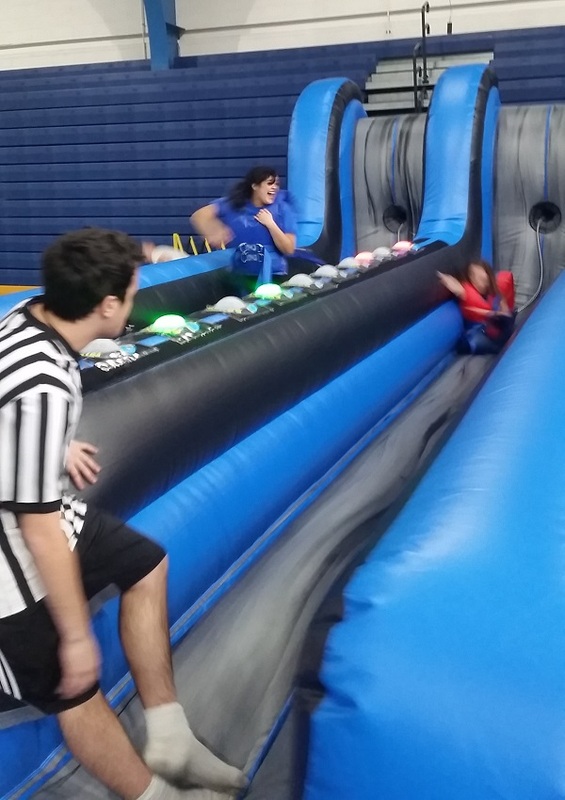 Then, they sprint as far as possible down each lane and shoot the basketballs and score before your opponent, before the bungee reaches its limit and hurls them back to the starting line! we suggest that participants be 10 or older due to the strength needed to extend the bungee cord. This is one of our most popular competitive inflatables and is a staple at graduation parties, family reunions and post-proms.